I strive to keep my tone light and bright, but as the cliché goes, life isn’t always sunshine and rainbows. So while I’m feeling a bit vulnerable writing this, I hope you take something helpful and positive from it. I had a very trying year. Sure, it may not come across that way on my cheery Instagram feed, but I suffered a huge loss and struggled with depression. I found myself feeling super tired, yet battling insomnia. I came down with a cold that lingered for over 6 months, and I just didn’t like what I saw in the mirror. Sleepless nights turned into exhausting days, exacerbated by my “hustle hard” nature. As a full-time yoga teacher, I’m constantly chasing my dreams and working on growing my business because I truly LOVE what I do; But my body was giving me glaring signs to slow down, which until recently, I chose to ignore. It took hitting an all-time low for me to realize I needed to take healthy action; it was high time for some much forgotten self-care. As a freelancer I may be alone a lot, working at my home office and such, but that’s just it-I’m ALWAYS working. It got to the point where I couldn’t even meditate because my mind just wouldn’t quiet down. Luckily, there’s always been one place where I can find inner peace, which is by the sea. So, I took my lovely friend’s advice and booked my flight to Mexico for 5 days prior to my retreat. I’m actually here now as I write this. It’s astounding how upon stepping onto the sugary white sand in Tulum I almost instantly felt lighter and brighter. Not that the pain and darkness no longer resided within me, but I felt hope for the first time in a while. If you or someone you know is struggling with unhappiness or despair, here are my 3 tips for self-care (and no, you don’t have to be on a beautiful beach to follow them). You know that feeling when your digestive track isn’t functioning? You feel heavy, stuck, and bound. I was emotionally constipated for far too long and what I needed was a good old fashioned “cry your eyes out like a baby” session. Pent-up sadness, anger, and heartache creates stress, and this stress ultimately causes illness. It’s a medically documented fact. It wasn’t a coincidence that I had the sniffles for months. Once I was alone on that secluded beach, I totally unleashed it all. It came rushing and gushing out like fierce ocean waves, and it was very cathartic. Remember, repression = depression. We are animals, with primal instincts. I feel blessed to have chosen a trade that encourages me to crawl around barefoot, but that’s not very common for most. Just because you’re an adult doesn’t mean you can’t be silly or even a little mischievous. Adulting is hard and you deserve to let your hair down once in a while. It’s needed! Sure, I may not be proud of all of my undisciplined antics, but they’ve definitely served as a necessary release. So go ahead and dance on top of the tables, sneak into a place you shouldn’t be, skinny dip, or whatever. Just go on and do it! Your body, spirit and mind will thank you. One of my worst qualities is that I’m always apologizing and self-deprecating (which is ironic for an Aries). If I’m granted with a nice compliment such as “Hey Dina, I love your leggings!”, my usual response would be: “Really? Oh these? I got them for a great deal on this site. They’d look great on you! I think I have a promo code if you want a pair.” Just take the compliment! Stop the qualifying. We’re living at a time when it’s rare that people notice anything else other than what’s on their iPhone screen, so if you are the lucky recipient of a compliment, soak that sh*t in and marinate in the good feels. You are amazing, and you probably don’t tell yourself that enough…or ever. As I wrap up this article, I’m still here in Tulum awaiting the arrival of my yoga crew. I have two days left to be alone and I fully intend to continue taking care of myself. Being carefree may not always be your reality, but just remember this: It’s careless to neglect the most important person in your life- YOU! Brooklyn-based yogini Dina Ivas specializes in leading fun, beginner-friendly retreats worldwide. 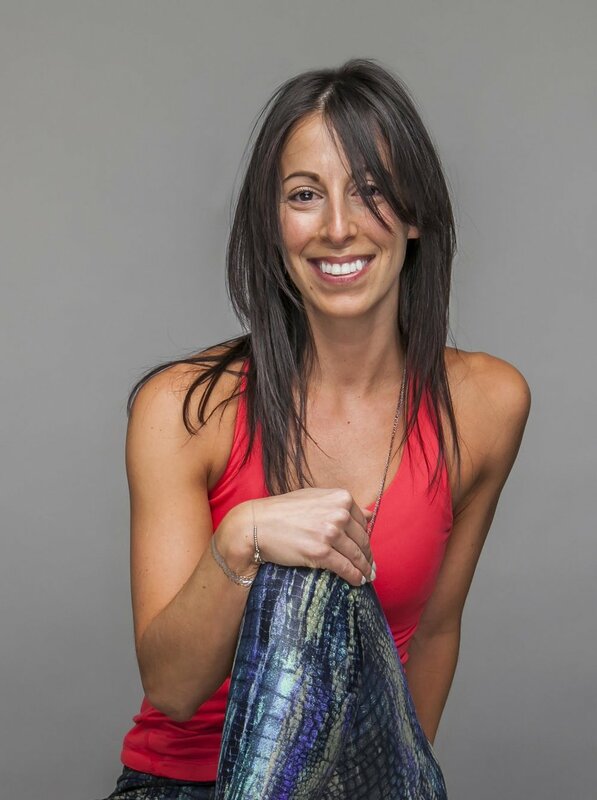 She's a graduate of Sonic Yoga’s teacher training program in Manhattan, and studied Communications at Boston University before leaving a corporate PR job to take the leap and teach yoga full-time. She went on to build a thriving business bringing yoga to offices. A self-proclaimed “leggings-a-holic” and wine-lover, Dina co-founded Yoga Wine Party, a company marrying these two passions offering customized yoga and wine-tasting events. To learn more about Dina or attend one of her upcoming events or retreats, visit www.yogawithdina.com or follow @dinaivas on Instagram.